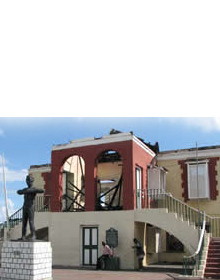 Located beside the Reynolds bauxite installation in Ocho Rios is the Ocho Rios fort. 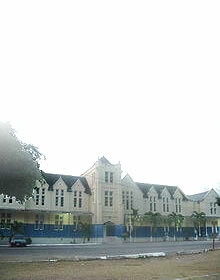 The fort was built in the late 17th Century. Like all other forts in the island, the fort was strengthened in 1780 when a French attack was feared. In 1795, an enemy vessel appeared off Ocho Rios harbour but fearing the guns there, it made an attack at Mammee Bay. 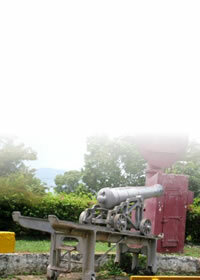 The Ocho Rios Fort was recently rebuilt by Reynolds Jamaica and contains two of the original guns from Ocho Rios and two of the guns which defended the town of Mammee Bay.